Restørsea’s active ingredient is the enzyme, Aquabeautine XL® (INCI: Hydrolyzed Roe). Hydrolyzed Roe is an enzyme that baby salmon release in order to get out of their eggshell. When applied to skin, the enzyme only digests dead skin cells leaving living skin untouched. As a result, the enzyme provides continuous exfoliation without inflammation. Formulated to be used daily. Contains three times the amount of our proprietary enzyme, Aquabeautine XL®. Used every day twice a day, will smooth, soften and firm skin for a radiant and glowing complexion. 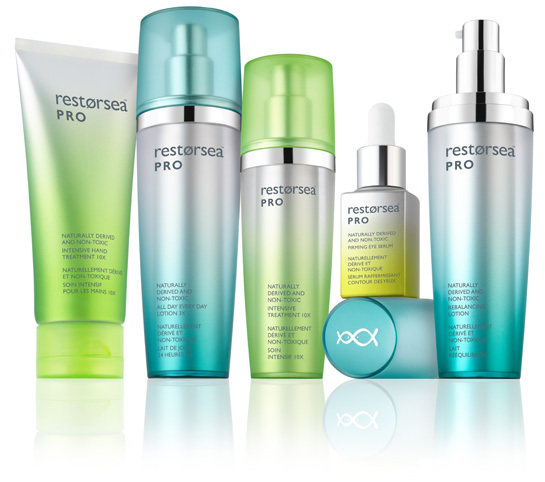 The most powerful PRO line facial treatment. Contains 10 times the amount of our proprietary ingredient Aquabeautine XL®. Intensive Treatments are the key to getting your skin back into glowing and amazing shape quickly. If you use the Intensive Treatment 10X every day, twice a day, you will see smoother, softer, more even looking and tighter looking skin. After four weeks, you may want to continue using Intensive Treatment 10X or switch to one of the products in the Aqua line which are formulated for daily use. IMPORTANT: Please consult regularly with your physician. reduce puffiness and it is Ophthalmologist tested. Gentle Cleanser: While all skin types need thorough cleansing, delicate skin requires extra special care and gentleness. 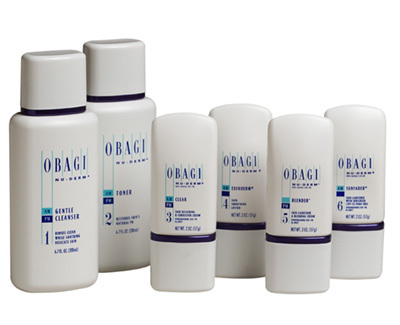 Obagi Gentle Cleanser is specifically formulated to cleanse while soothing. It rinses clean so your skin feels comfortable and soft. Foaming Gel: Obagi foaming gel combines a blend of herbs, natural cleansers and aloe vera to create this gentle formula. It frees your skin of pollutants and excess oils without damaging the skins own natural moisture content. It leaves even oily skin clean and touchably soft. Toner: A refreshing blend of natural ingredients and herbs that hydrates and tones the skin while restoring its normal pH balance. It prepares the skin for application of Obagi Clear. Clear: The gradual bleaching of hyperpigmented skin conditions such as chloasma, melasma, freckles, senile lentiginies, and other unwanted areas of melanin hyperpigmentation. Blender: The gradual bleaching of hyperpigmented skin conditions such as chloasma, melasma, freckles, senile lentiginies, and other unwanted areas of melanin hyperpigmentation. Sunfader: The gradual bleaching of hyperpigmented skin conditions such as chloasma, melasma, freckles, senile lentiginies, and other unwanted areas of melanin hyperpigmentation. Rosaclear: Skin balancing sun protection SPF 30 contains reflective agents that help reduce the appearance of redness and blotchiness. Professional C-serum (10%): Obagi professional C serum provides antioxidant protection with deep penetration to the dermal layer. The 10% L-ascorbic acid help contribute to collagen synthesis. Obai professional C-serum 10% is suitable for dry, sensitive, or reactive skin. 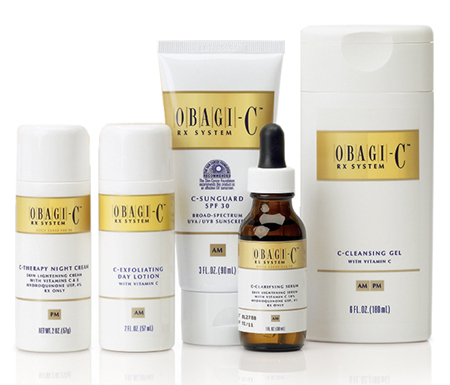 Professional C-serum 15%: Obagi Professional C serum provides superior antioxidant protection with deep penetration. Professional C-serum 15% is suitable for all skin types. Professional C-serum 20%: Obagi Professional C serum provides superior antioxidant protection with deep penetration. Professional C-serum 20% is suitable for normal to oily skin. 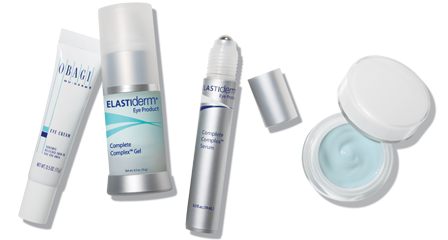 Elastiderm Eye treatment gel: A one of a kind topical eye treatment that works to briong back lift, snap and resilience to the delicate skin around the eyes. Using a proprietary restorative elasticity complex, it is clinically proven to help replenish elasticity and build the collagen necessary to reduce fine lines and wrinkles in as little as two weeks. For normal to oily skin, or for those who prefer the cool consistency of a gel. Hydrate facial moisturizer: Provides all day moisture protection and is suitable for all skin types. Contains Hydromanil, a multi action agent derived from tara seed, known to gradually deliver moisture to the skin. Also includes shae butter, mango butter, avocado, and glycerin to help combat skin dryness. Elastiderm Eye treatment cream: A one of a kind topical eye treatment that works to bring back lift, snap, and resilliance to the delicate skin around d the eyes. Using a proprietary restorative elasticity complex, its clinically proven to help replenish elasticity and build collagen necessary to reduce the appearance of fine lines and wrinkles in as little as two weeks. For normal to dry skin or for those who prefer the rich consistency of a cream. ELASTILash: ELASTILash eyelash solution is a unique eyelash enhancer that will help you achieve the appearance of visibly thicker, fuller-looking eyelashes. 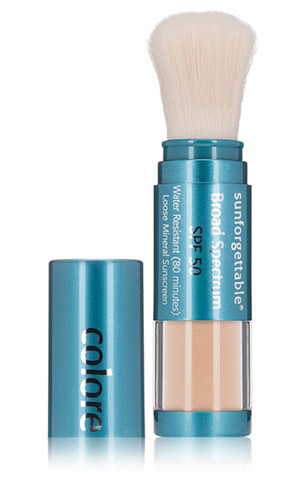 Obagi Sun Shield Broad Spectrum SPF 50 Matte sunscreen: This sunscreen combines UVB absorption and UVA protection in an elegant, matte finish that is non-comedogenic, hypoallergenic, non-acnegenic, and dermatologist tested. Sheer, PABA free, and fragrance free for all skin types. 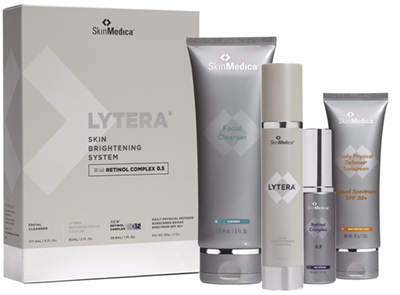 Skin Medica Lytera® Skin Brightening Complex : This non-hydroquinone, clinically tested, advanced formula improves the appearance of unwanted dark spots and brightens the skin for a more even tone. 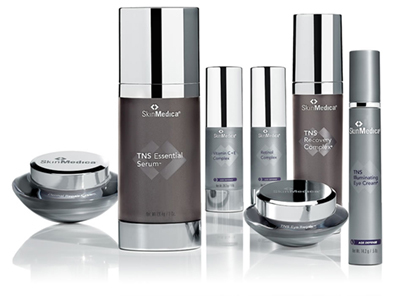 Skin Medica TNS® Essential Serum: This serum combines the patented growth factor serum, TNS recovery complex, and potent antioxidants, peptides and other anti aging ingredients to regenerate youthful looking skin. 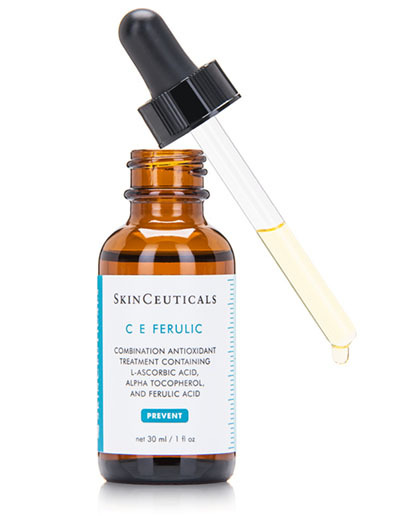 Skinceuticals C E Ferulic: : Combines proven antioxidant vitamins C and E with ferulic acid to maximize the effects of antioxidants. This product enhances protection against UVA and UVB rays that are damaging to skin, and better prevents premature signs of aging. This product also helps to stimulate collagen production to help with the appearance of photo aging. Skinceuticals Phloretin CF : This serum contains a potent molecular combination to protect the spectrum of cell types, shielding their DNA from the environment in the deeper layers of the epidermis. This serum also supports the elastin and collagen levels on the inside, resulting in firmer more radiant younger looking skin. Latisse Solution: : A prescription treatment for hypotrichosis used to grow eyelashes, making them longer thicker and darker. 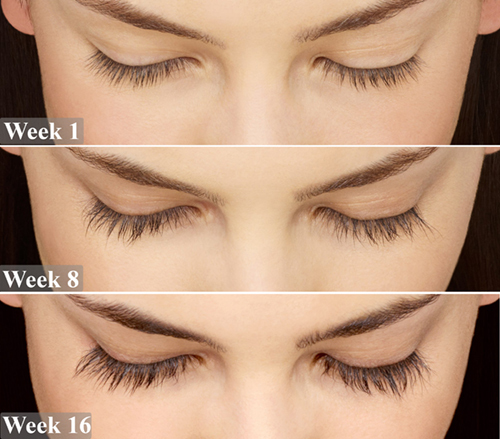 Eyelash hypotrichosis is another name for having inadequate or not enough eyelashes.